The flamingos were not amused. 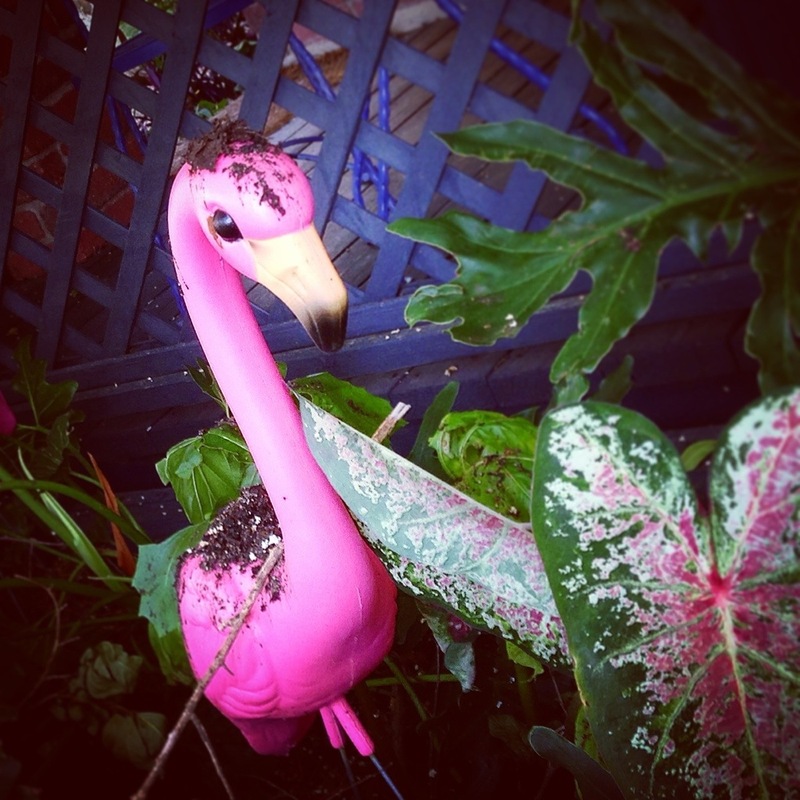 This entry was posted in Uncategorized and tagged flamingos. Bookmark the permalink. Dirty job, but think of all that goodness. It was pure compost I was scooping out of there. Clearly I need to be cleaning those gutters more often. I am hoping it’ll encourage the philodendron selloum in front of the porch to hurry up & grow! Haha….well…a Flamingo’s gotta do, what a Flamingo’s gotta do.